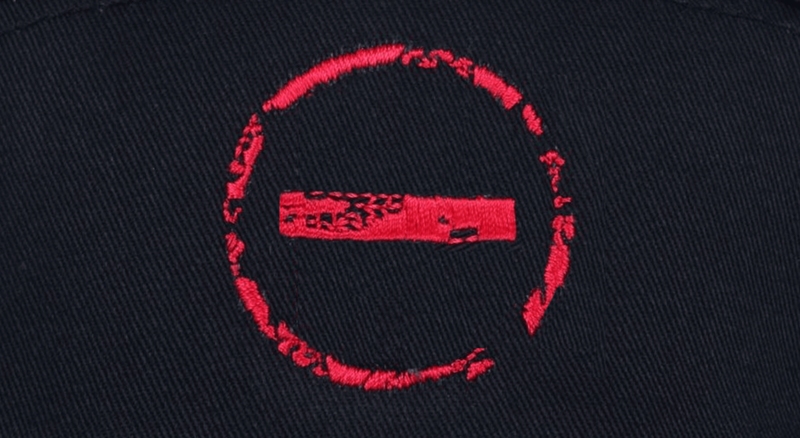 A technique where embroidery is raised. Used mostly for big shapes. 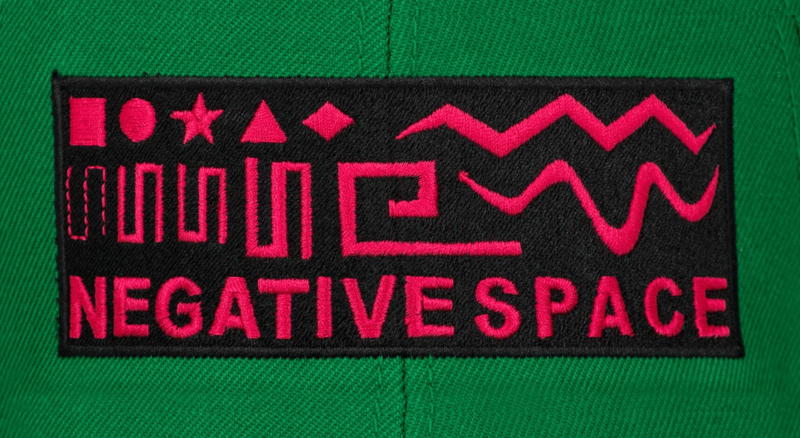 A technique where both Flat embroidery and 3D Puff used in the same graphic. Used to outline an object or to cap a 3D Puff design. It’s a long, straight embroidery stitch that looks like satin. The running stitch is the basic stitch embroidery.The stitch is worked by passing the needle in and out of the fabric going straight forward in a line. Used to fill large areas. Follow the embroidery guidelines to a tee. Or the quality of your embroidery orders will suffer. 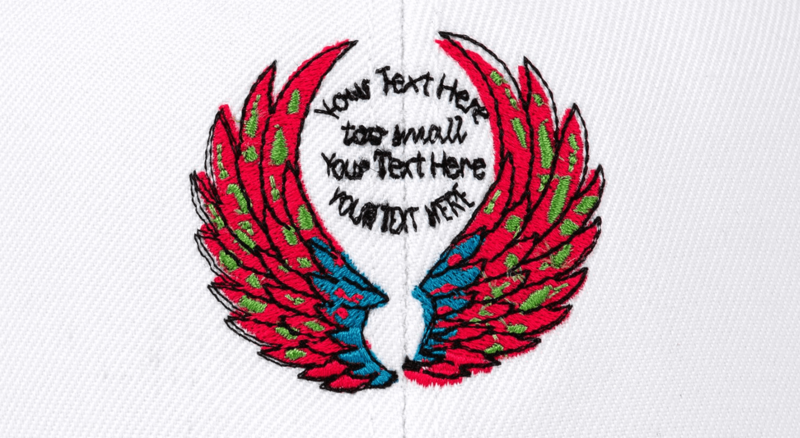 We’ll embroider the graphic as best we can, but the result might not satisfy you. When editing embroidery files, work within the actual embroidery area dimensions. 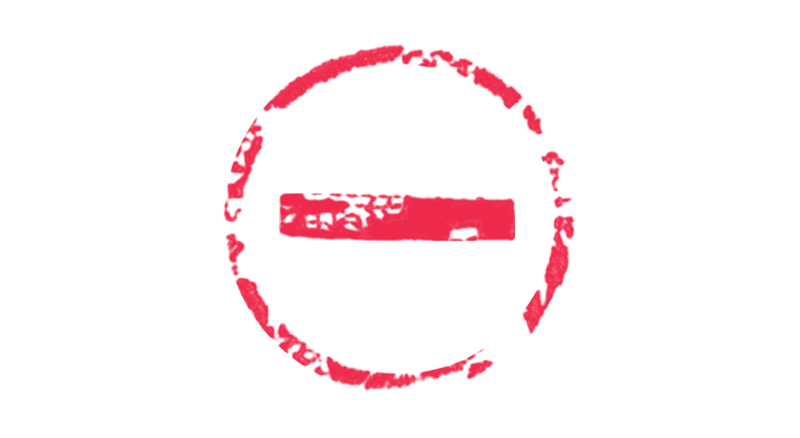 Our templates will ensure that designs stay within the maximum permitted area. Print product graphics will often not work for embroidery. If you’re not sure about your graphic or need some help, reach out to our design services team. You can order samples at 20% off + free shipping. 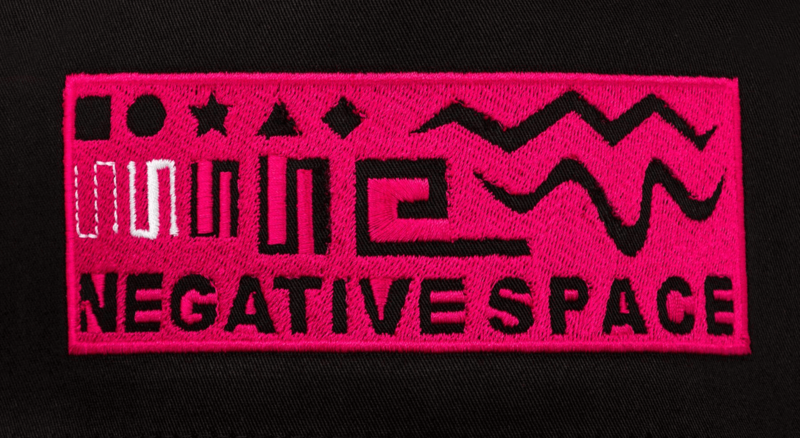 Avoid using very small letters because the embroidered text might not be legible. 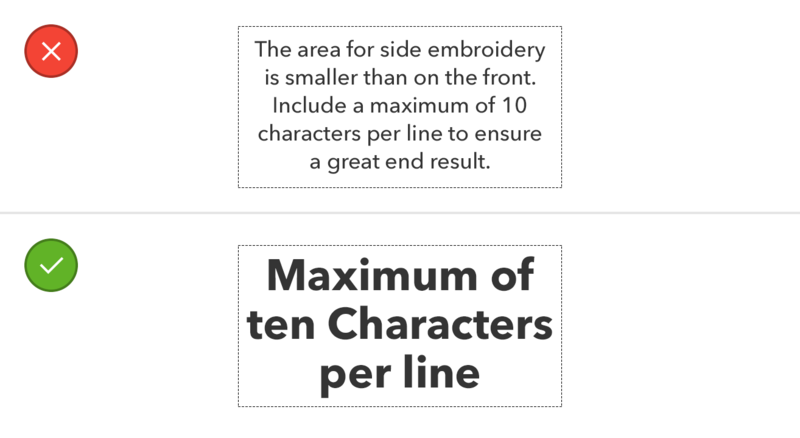 Keep the text at least 0.25'' in height and at least 0.05'' thick. The minimum recommended line thickness for the regular satin stitch is 0.05''. For thinner lines we’ll use run stitch (a single line of stitches). 0.25'' is equivalent to approximately 36pt, and the letters will also have the necessary thickness. But this depends on the font. 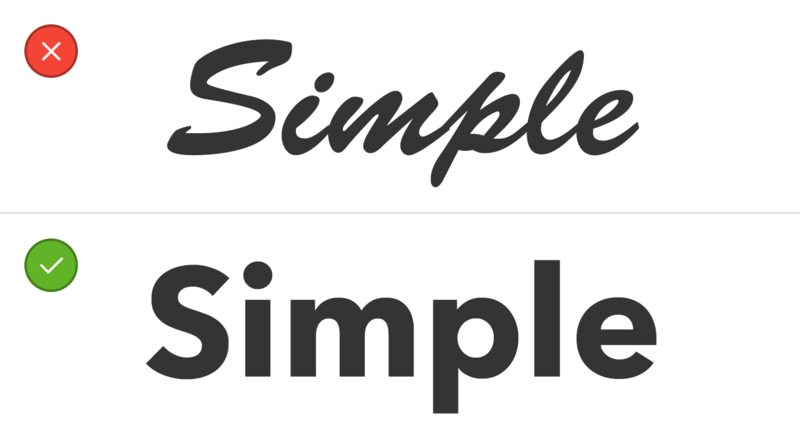 We recommend using simple fonts like Arial, Helvetica, Myriad pro. 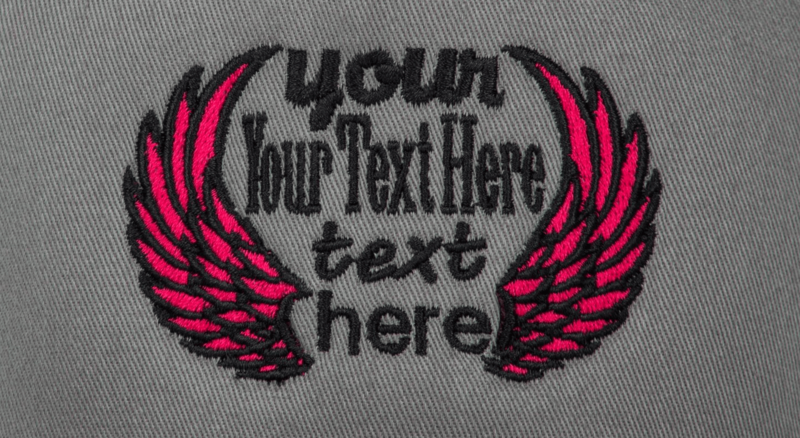 With distressed or textured graphics many details might be lost during embroidery depending on the texture size. For these files, we’ll only be able to use flat embroidery, and extremely thin parts are likely to be run stitched. These are the empty spaces in the artwork - the hat fabric showing through the design (but don’t mix it up with transparent background, which is alright!). This can cause several problems. 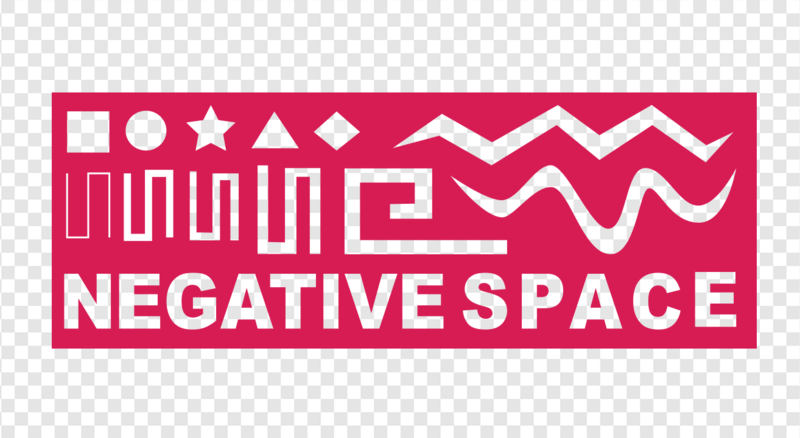 Avoid these issues by filling the negative spaces with another color. 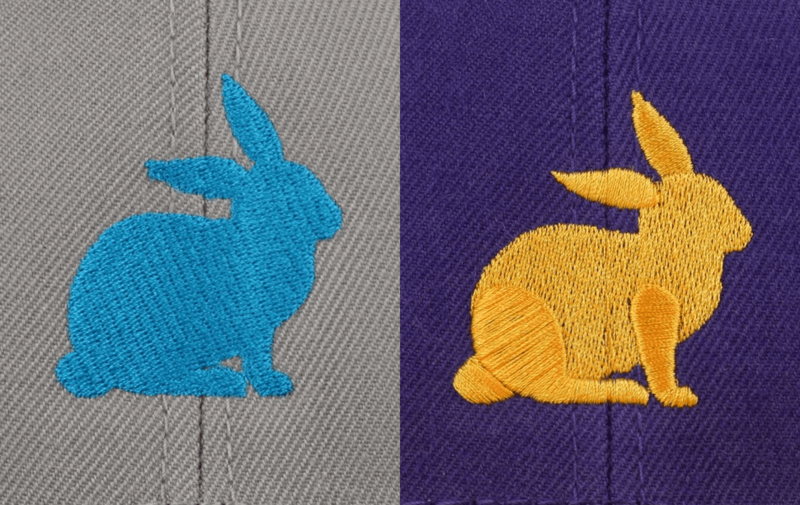 We can only embroider solid shapes and colors. Gradients won’t work because we can’t transition from one color thread to another. 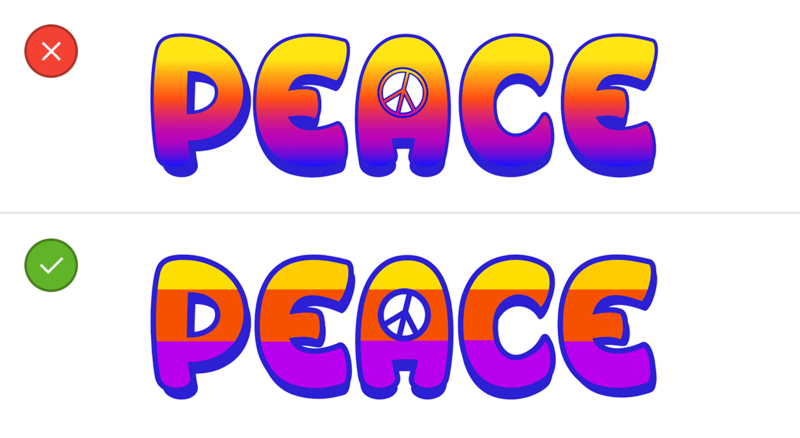 You’ll have to convert gradients to a one color graphic, and split multiple color graphics with gradients into solid colors. Graphics that cover a large part of the embroidery area will likely exceed the maximum stitch count of 15,000. 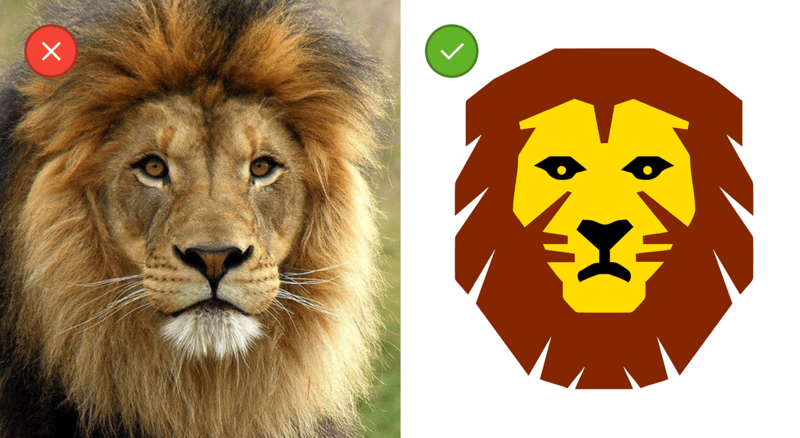 Remove all backgrounds from your files to make sure they don't exceed this count. If you’d like to keep the background, we’ll have to reduce the size of the graphic by up to 50%. It’s not possible to embroider photographic images as they are. Photographic images have to be recreated to include solid shapes and colors. 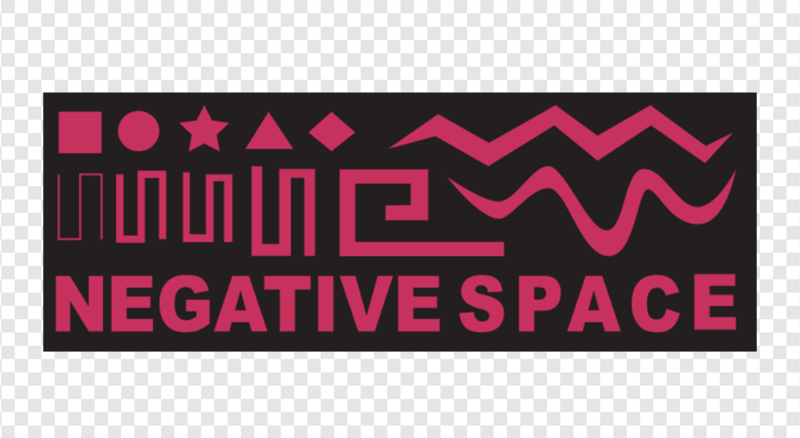 Use bold shapes and text. Graphics that don’t meet the minimum object thickness will not be possible to embroider in 3D puff. Some fonts like calligraphy simply won’t work for 3D puff. The area for side embroidery is smaller than in the front. 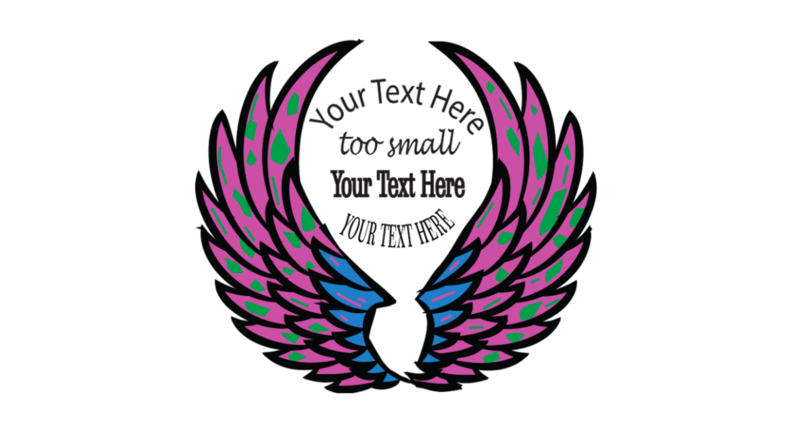 Include up to 10 characters in your text to make sure that the final result looks great. Need some help with your designs? Our digitizers decide on the types of stitches that will be the best for each design. Make sure to follow the guidelines because ultimately the type of stitch used will depend on your graphic. If you have any preferences for stitches, include them in the embroidery notes section. 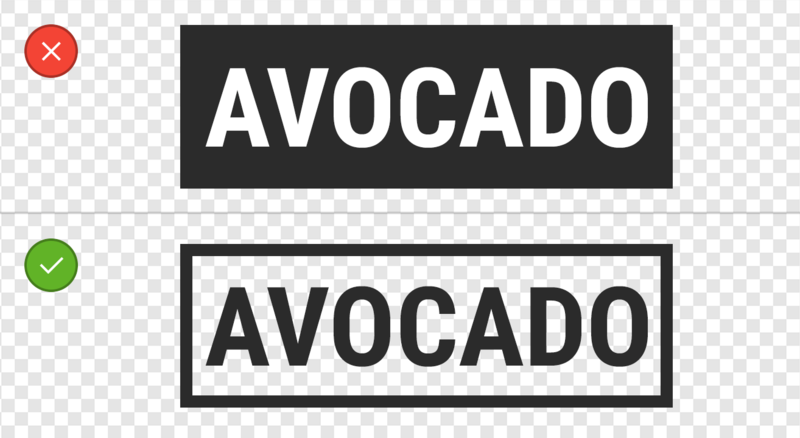 Note that if you upload a new graphic that is visually similar to a design that you’d already uploaded earlier, the new graphic may not be digitized the same way as it was the first time! This is because we have multiple digitizers who manually process the files, and each of them could digitize the graphic differently. 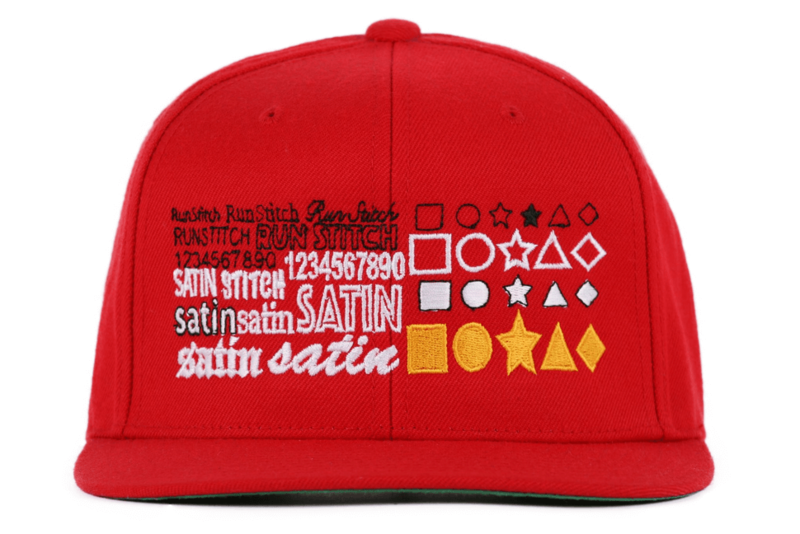 The stitch density and direction differ in hat and apparel embroidery. If you want to use hat files for shirts or vice versa, they need to be adjusted for $2.95 per file. 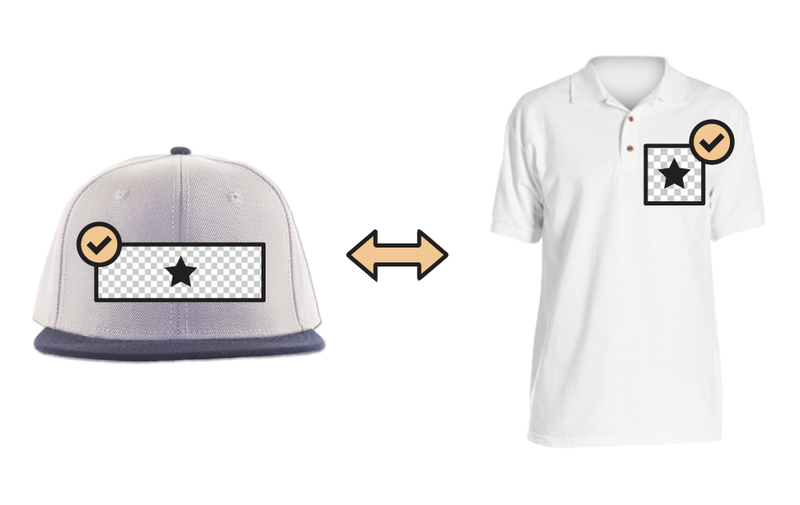 3D or partial 3D puff isn't available on apparel, so any previously digitized 3D or partial 3D puff hat files you have need to be digitized from scratch for apparel. The only way you can be sure that the product you’re selling looks great is first seeing it for yourself. Always order samples before you start selling a new design - even if it’s similar to one you’d already embroidered before. Need help with your embroidery files? Get in touch with our in-house design team! 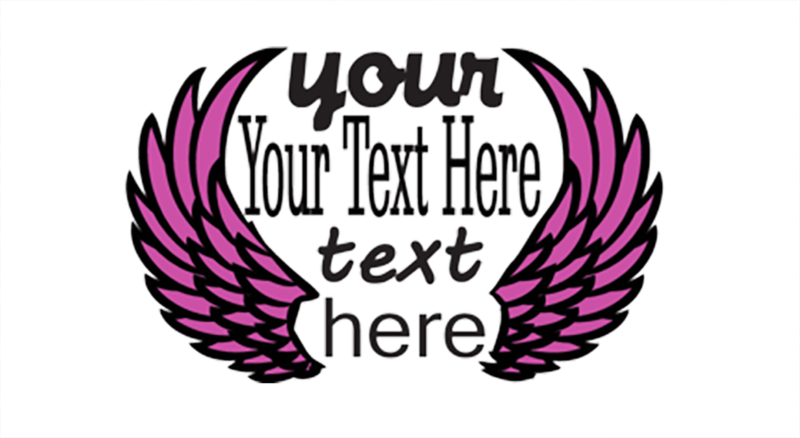 They’ll help you edit or recreate your designs for embroidery. Simply fill in the form below, and someone will get back to you within 24 hours on business days with a price quote. If you have a graphic, but you’re not sure if it will work for embroidery, contact our team and request a Skype consultation ($1 per minute)!